As we all know Real Estate (Regulation and Development) Act, 2016 (RERA) had implemented from May 1, 2017, the prospective buyers of real estate are still in a state of flux. The Real Estate (Regulations and Development) Act, 2016 has prescribed for every State/UT to prepare details rules regarding registration and implementation of RERA. There is a large chunk of unsold inventory across the locations and available with almost all the builders. They would in all likelihood be trying to offload them and even offer a reduced rate along with other freebies. Buyers showing renewed interest in this market have to be cautious as the chances of falling into a trap could be high. Currently, transition phase in the real estate industry from a free-for-all to a regulated one. 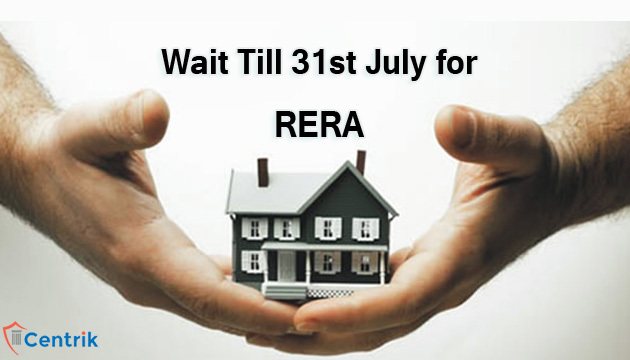 RERA will not only cover the new launches but also the on-going projects where the completion/occupation certificate has not been received but allows a period of three months to the promoters to get their ongoing projects registered with RERA i.e. until 31st July 2017. Several ongoing projects are running in the market, some of which could nearing completion in 6-12 months while others may take up to 36 months or more. The new RERA compliant projects could still be a few months away until the unsold inventory starts showing a decline. Buyer should only opt for a RERA compliant and registered developer in order to be safe and secure. So it better to wait for more clarity to emerge and avoid running around if the developer fails to get its project registered as and when the RA gets established in your state. Find out if the builder is getting ready with all the compliances to register the project that you are buying into. The industry is also expected to witness a shake-up as small time developers especially those who had a free-run earlier might look to now wind up their operations. RERA may impede the smaller unorganised players, as adherence to the rules may be arduous. Also could lead to a consolidation of the industry, with larger players having a significant share of the market. Real estate market has been in a state of slumber for the last few years. Most builders took the buyers for granted, swindled funds to different projects thus leading to delayed delivery across the various locations. Many buyers especially those who had booked after 2012-13 are still awaiting possession. Make sure that the promoters of the project you are buying into have received the completion/occupancy certificate (RERA registration not required as it is received before May 1) or have they applied or in the process of applying for the registration of the project. The one single piece of information that can prove to be the savior to a large extent will be the project’s registration number provided by the state’s Regulatory Authority.